In 2012 drummer Johnny Rabb got the call to play drums for Collective Soul on their upcoming tour. Rabb stepped up to the kit not knowing what the future would be, but he was prepared to give the band exactly what they needed. Since that time, Johnny Rabb has played on the band’s 2015 album, “See What You Started By Continuing,” as well as a live record released last year. Johnny and the band have continued to play successful tours across the world and show no signs of stopping any time soon. 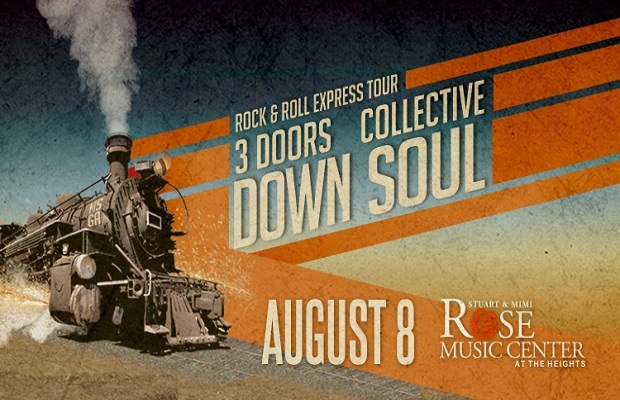 Collective Soul is currently on the Rock n’ Roll Express tour with 3 Doors Down and Soul Asylum this summer. 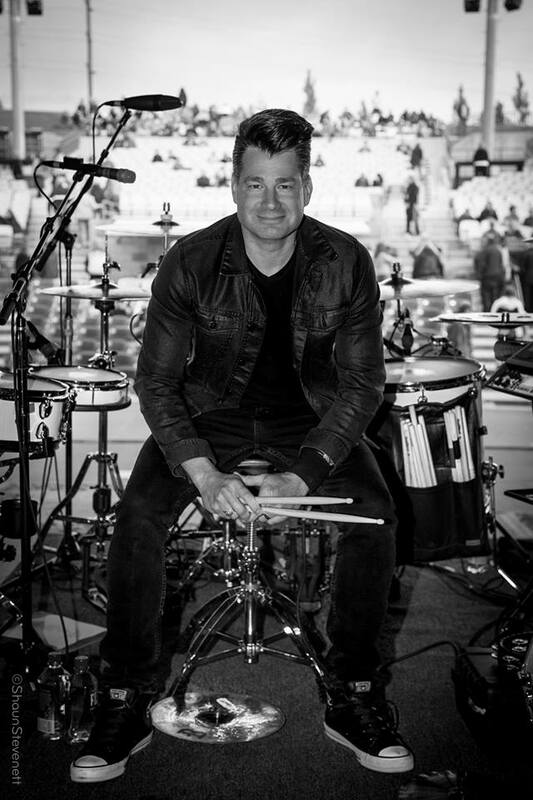 I talked with Johnny just prior to Collective Soul taking the stage in Clearfield, PA. Johnny spoke to me about his time with Collective Soul, in addition to his 35-year career as a drummer. I hope you enjoy getting to know Johnny Rabb just as much as I did during our conversation. This one is for all of our drummer friends out there. Enjoy! 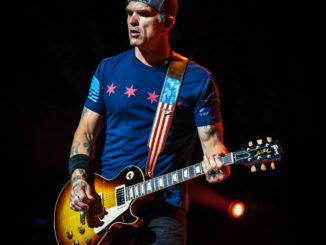 The Music Room: You guys are on the Rock n’ Roll Express tour with 3 Doors Down and Soul Asylum. I wanted to see how the tour has been going. You all have been out there for about a month already. Johnny Rabb: We have completed the first month. Florida, and everywhere you can imagine. Georgia, Iowa, Minneapolis…just all over the place. All the bands get along great and we have a good time. Touring with these guys is great because you forget…well, we don’t really forget but in listening to them it’s like man, there are so many great songs from the other bands. The package tour has really been working out awesome. The fans seem to enjoy it and we’re having a blast. We’re joking around with the other bands. Michael Bland is playing with Soul Asylum and Greg Upchurch is on drums for 3 Doors. It’s just neat seeing those guys again and to catch up with them. They’re just monster players. Then all of the other guys are just tremendous. It’s really tight and we’re having a great time. TMR: That’s great. You know, some packages just don’t make sense when you hear about them. But when I heard about this one, I said that is the perfect bill right there. I’m looking forward to it. JR: We think that is the case as well. It’s Soul Asylum, then we do our thing, and then 3 Doors. It’s a night full of great music that you’ve heard on the radio. The fans have been great too. The crowds have been awesome. TMR: In some ways, you’re the new guy in the band along with Jesse (Tripplett- guitarist.) But you have been with the band for the studio album, “See What You Started by Continuing” back in 2015, and then with the Live album last year. 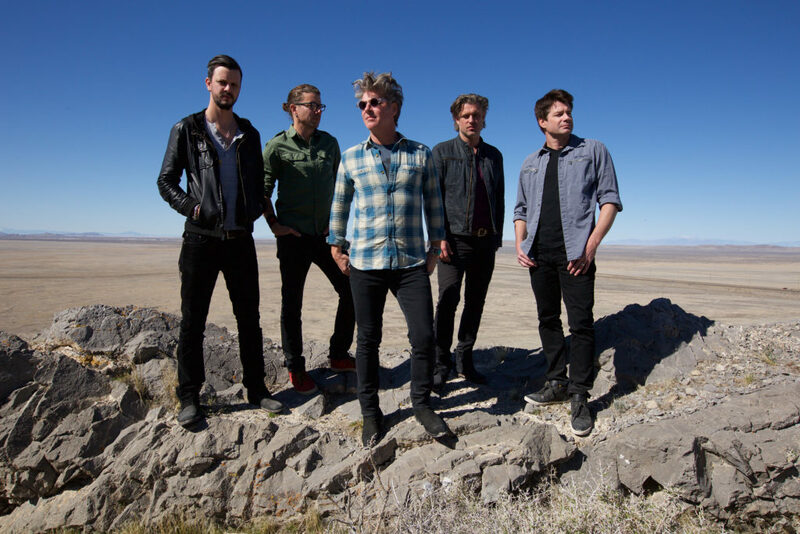 I want to get your thoughts on what it was like stepping into a band like Collective Soul who has the legacy that they do and to see if it is more comfortable now that you have been there for a while. JR: I know what you mean. It’s obviously an honor to work with the guys and they know that. But we’re such good friends at this point. On that first tour in 2012, we hit it off really well, in my opinion. It was the Dosage tour. I didn’t know what they were necessarily looking for. If it was just for the tour in 2012, or if it was continuing. Here we are. It’s the start of the seventh year for me. I can’t believe how fast it’s gone. You asked the really good question on whether it was comfortable. They always made me feel comfortable, but it’s real. I’ve been playing drums for, I don’t know…35 years or so at least. Pro for maybe 25-30. So being ready for that gig there was no…they’ve been doing it forever, so it wasn’t like there were a bunch of rehearsals. It was just kind of like, let’s get this tour together and learn these songs. So there was that really pro-mindset that I was having. So, I guess what I am saying is that there was a little bit of stress to make sure that tour went off well in 2012. Yes, there’s a difference now. I think each show is its own individual event. I don’t take anyone lightheartedly. I pride myself on working with the guys and communicating with them to keep it as tight as I can. I definitely do let loose a little bit more as far as my personality. I’m blending in and we’re cracking jokes. It’s something that needed to be proved, and I try to prove it. Now it’s much more relaxed. It’s serious, but it’s much more like family out here. 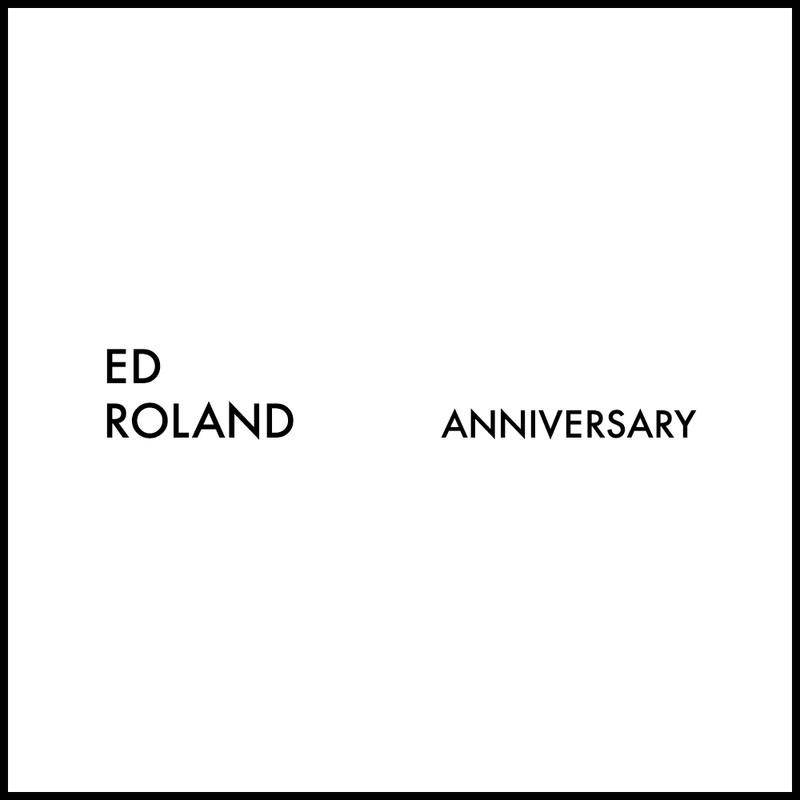 TMR: I had the privilege of talking to Ed (Roland) back in 2015 when you guys played Louder Than Life in Kentucky. He credited a lot to you and Jesse as kind of being the shot in the arm that Collective Soul needed. He explained that personally and as a band, things had kind of gone stale a bit. He said you two came in and said hey, let’s just rock and do this thing. He really gave you guys a lot of credit for bringing that life back into the band. JR: That means a lot. I’ll tell you what, you said the life to the band…they have that life and they bring life to us. I’m not trying to make it sound cheesy, but for real it’s good to know we might have energized them but those dudes energize me and Jesse. As a team, it’s jammin’ right now. Of course, will all due respect to all the past folks who have been involved with the band…I love everybody, but I’m very excited that it’s this lineup. I don’t take it for granted because I said, I’ve been trying to do the drum career for 25 – 30 years. I’ve had a good career, but this is the highlight for me. Sure, it gets tiring. We think we all get tired of traveling, but when we play there is that light switch of energy. We’re very thankful to be doing it every day. TMR: Obviously, the guys have a large catalog of music. Were there any songs that you said, we have to bring this one back out and play it? JR: There are a couple of times when they have said, let’s do this one tonight. We don’t play them every day. Like we did “Counting the Days” a lot. Or when we first started doing “Needs.” A new song list comes out from time time. I like it because of the challenge of it. Like “Smashing Young Man.” I know the band and the catalog, but you bust out the old phone or record and listen to the drum part. The magic is when I can say yep, got it. Let’s rock it tonight. They’re the originals doing it, so I just try to fit in and make them feel comfortable doing it. You have to have the confidence when they do call out something from a past collection. TMR: The catalog is great. The legacy is great. 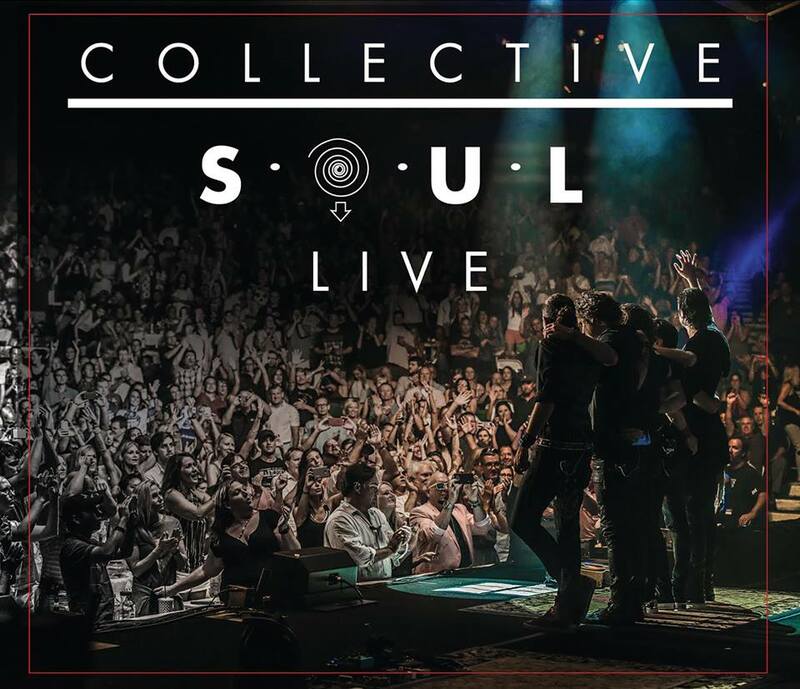 But what I love about Collective Soul is that they never rest on the laurels of what they’ve done. Just like on last summer’s tour, you guys played new music. Are you band that writes on the road? Are you constantly coming up with new stuff? JR: Everybody in the group plays other instruments. Obviously, Ed is the main writer for Collective Soul. But Dean has his Magnets & Ghost band, which is amazing. Wil just released his “Serengeti Drivers” record. So all the guys have their own thing. I work on a lot of electronic music, and also singer-songwriter stuff. I don’t have the background that Ed does, but it’s still fun to write. When it comes to the band, it’s usually Ed bringing us the songs. It’s amazing to watch him write. He’s an amazing songwriter. He’s always at it. There are 19 songs recorded…in the can, so to speak. We’ve got them pretty much finished Whether it be next year, or whenever they plan on releasing it. Rumor has it that it will be 2019. But yeah, 19 songs done. You hit in on the head when you said no resting. We did studio sessions three or four times here in 2018 and 2017. Really cool sessions. I don’t see any end in site with that process. TMR: We have talked about Collective Soul. The other guys have the projects too. You are a drummer in that you play drums in a band, but you are a DRUMMER. You have your own line of cymbals and sticks. And you have written educational books about drumming. Tell people a little bit more about your companies, endorsements, and products. JR: Sure. Back in the day when I was about 23…and, I won’t take long with this. 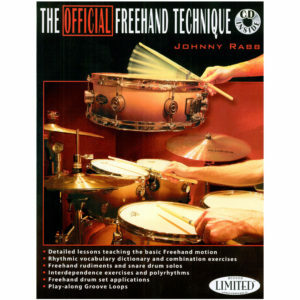 I had a stick company, Johnny Rabb Stick Company. Unfortunately, it went in a bad direction with a partner. But it’s getting revitalized with my buddy, Troy. So that’s coming back again. I was able to get the patent back on one of the sticks that I developed called the Rhythm Saw. It’s a slow burn on that one because it’s not exactly easy or fast moving. We lost some ground when it went away from me at age 30. Then I have worked with MEINL Cymbals out of Germany for the past 18 – 20 years now. They developed some cymbals that were made for drum and bass house electronica and DJ kind of music. It’s a cymbal you put it on the drums and it makes a hand clap, white noise type sound called the Drumbal. I like trying to design and to attempt to be innovative. I have two educational books out over the past 15 years. 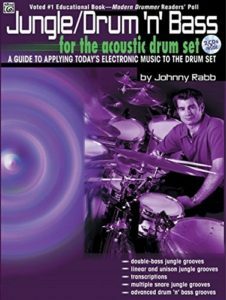 One’s called “The Official Freehand Technique,” and the other is called “Jungle Drum n’ Bass.” It’s pretty nerdy, but it’s an innovative idea trying to basically play any rhythm you want with one hand while the other hand can do something rhythmically against it. That’s the drum nerd coming out there. I still work on that stuff. I enjoy the drumming industry very much so. That’s the same thing with Jesse. Jesse’s production skills and his writing on his own, or producing other artists…he’s just tremendous as far as engineering, his session work, or his writing. He’s a phenomenal musician and producer as well. JR: Absolutely! I probably started playing after hearing “Exit Stage Left” by Rush with Neil (Peart.) It’s typical Neil Peart!! How do you play drums like that??? I still love him. He’s kind of the reason I got into it. I’m happy to say that a couple of guys became colleagues and friends. Steve Smith from Journey and I have become buddies. He did some work on my educational book. We did a lot of workshops and master classes together from Germany to U.K. It’s just an amazing thing because as a high school kid I never thought I would have met him, let alone be friends with him. 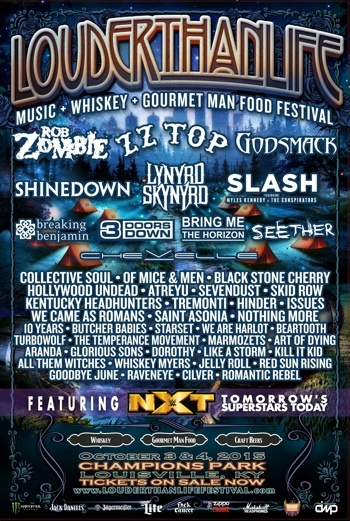 We opened up for Journey two years ago in Canada. At the time it was Omar Hakim subbing on drums for Dean Castronovo on drums. It was kind of funny…he came into the trailer and the guys were like, how in the heck do you know Omar? (laughs) We’d done a ton of stuff for Roland V-Drum together. TMR: Well man, I know you guys are getting ready to hit the stage here very soon, so I am going to let you off here. I just want to say that we are all very excited to see you guys here next week (August 8th) at The Rose at Huber Heights, OH. Have a great show tonight and we will see you soon. JR: Thank you so much. I look forward to seeing you. Get your tickets for the Rock n’ Roll Express tour stop on August 8, 2018 here! !